This table is being left open along the inverted waney / live edge, but one other option was to have a coloured translucent resin infill. 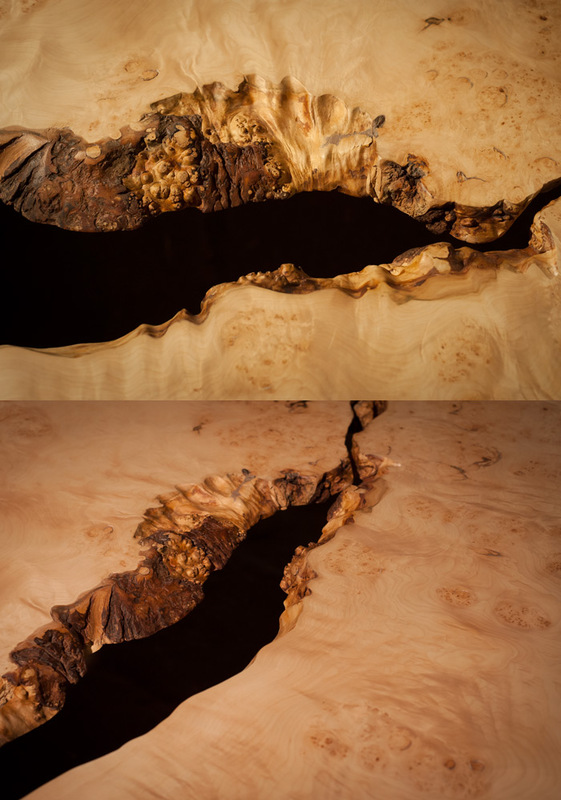 It is very unusual to find maple that has a consistent burr and glorious figure running the entire length of the slabs. This sadly being the last of a complete log, it has made two tables, one desk, a couple of chest of drawers, a trunk, a vanity unit and two children's beds. 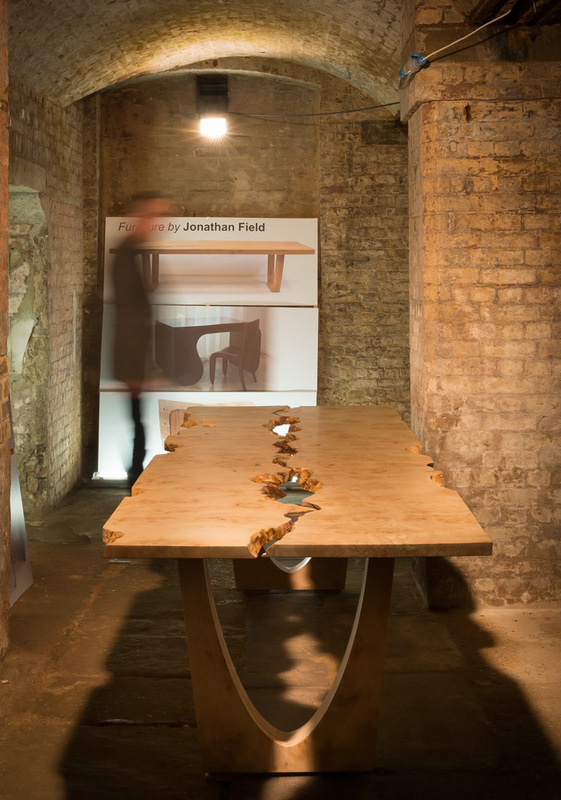 The table was taken to the Clerkenwell Design Week and shown in the Platform section, a very atmospheric dungeon - The House of Detention!